Our research in Australia continues. On Friday, Scripps Institution of Oceanography professor Greg Rouse and I had the great opportunity to meet Sydney Aquarium head aquarist Amy Wilkes. She gave us a tour of their incredible aquarium (they have a very interesting platypus exhibit) and showed us the behind-the-scenes set-up of their weedy seadragon exhibit. 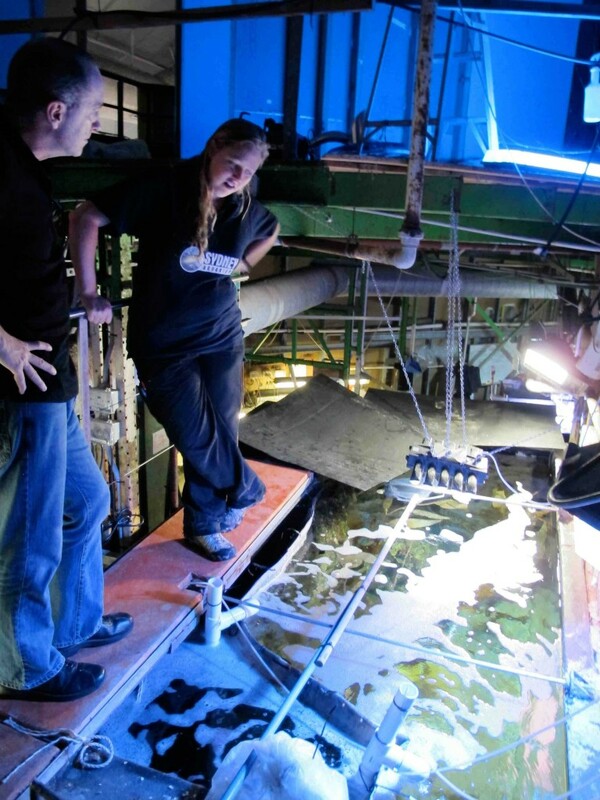 Greg Rouse speaks with Sydney Aquarium head aquarist Amy Wilkes behind the scenes at the aquarium’s weedy seadragon exhibit. 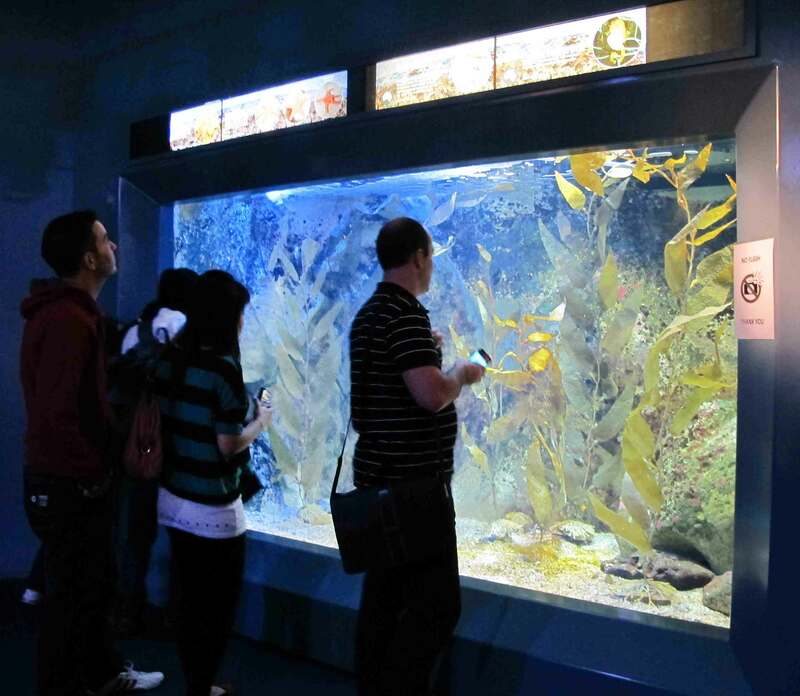 Visitors look at the weedy seadragon exhibit at Sydney Aquarium. 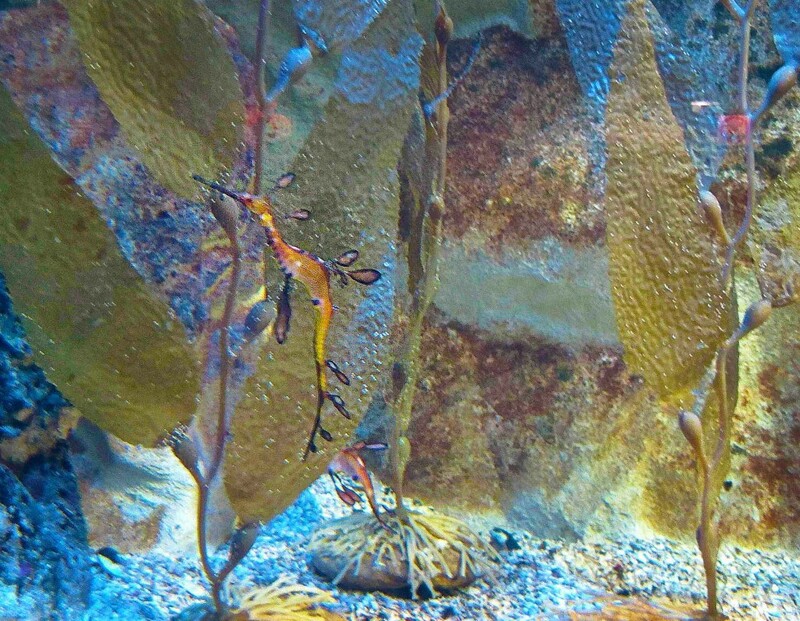 A weedy seadragon on exhibit at Sydney Aquarium. We traveled south to Melbourne the next day and were hoping to dive at Flinder’s Jetty – a well-known site for weedy seadragons – only to find the water like pea soup. A local diver told us it was the most turbid it had been all year, owing to high winds and a huge swell coming into the mouth of the bay. 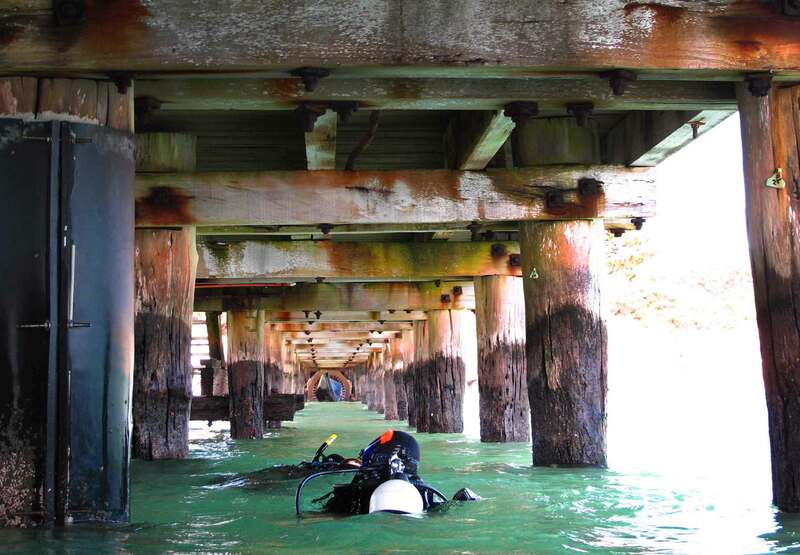 We decided to try another dive site at Portsea Pier. Visibility was a bit better but still very murky and surgy. Despite the conditions, we saw three weedy seadragons. Check out the video below to see how strong the surge was. 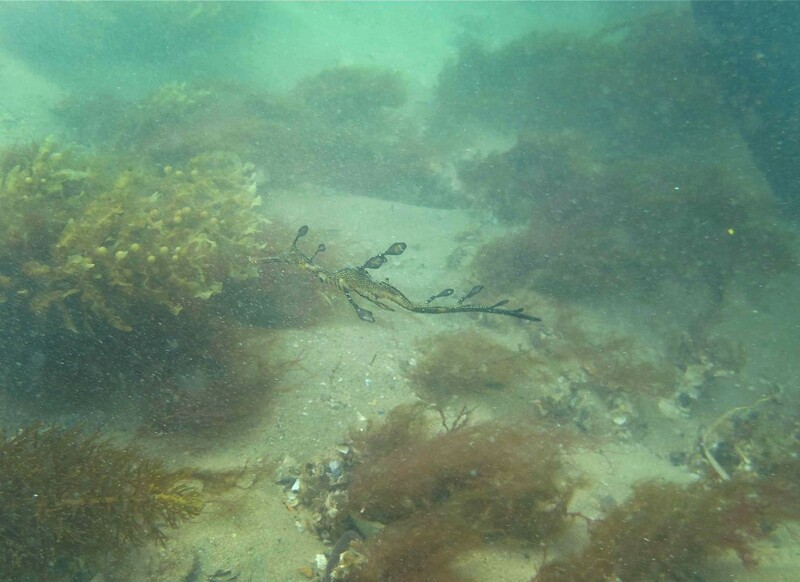 Despite the poor visibility, we spotted a weedy seadragon at Portsea Pier. That afternoon we dove at Rye Pier. Weedy seadragons are not common here but the visibility was much better. 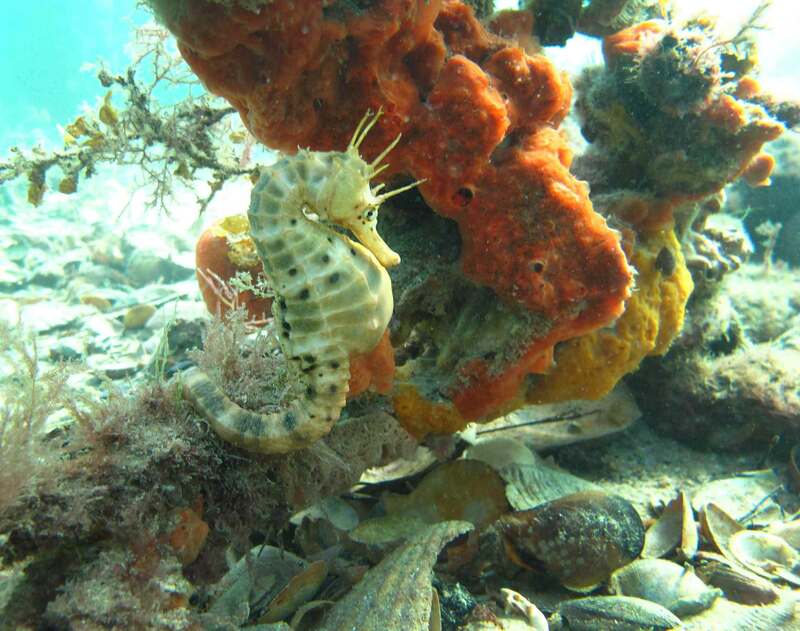 We saw porcupine fish (Diodon nicthemerus) and many pot-bellied seahorses (Hippocampus abdominalis). 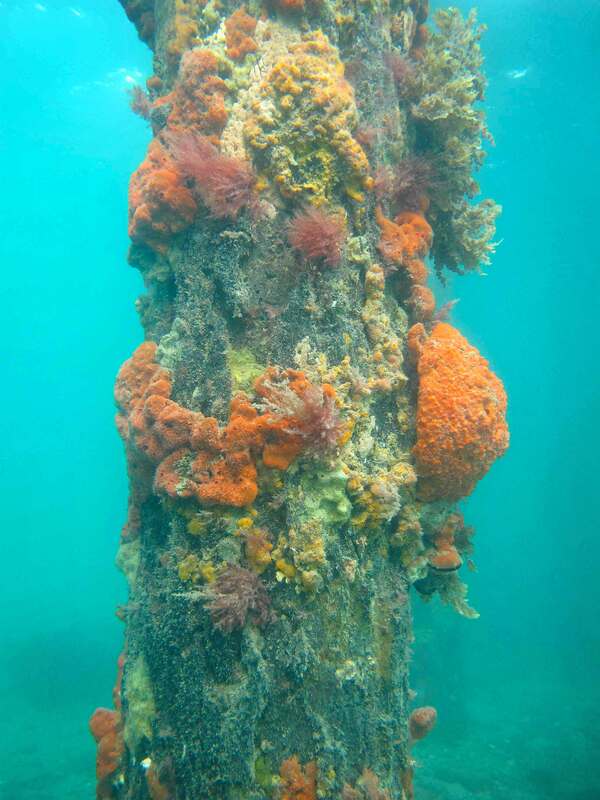 The growth on the pier pilings was amazingly lush and colorful! A pot-bellied seahorse (Hippocampus abdominalis) at Rye Pier. 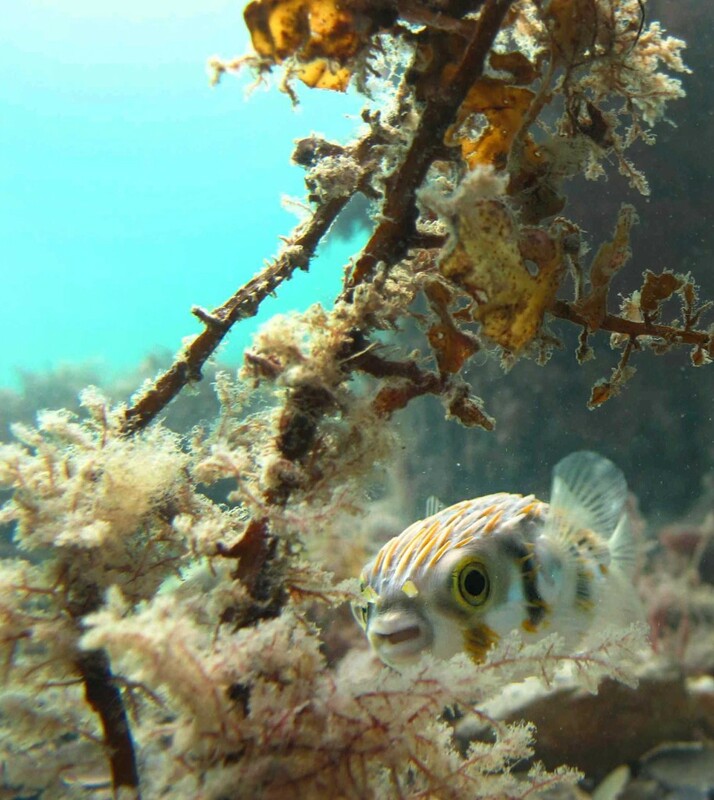 A porcupine fish (Diodon nicthemerus) at Rye Pier. Lush growth on a piling of Rye Pier. We’ll be heading back to Flinder’s Jetty in the next few days. Hopefully dive conditions will be better! Ride ’em cowboy! I was dizzy watching that weedy seadragon ride the surges. Sheesh. Leslee, this is so FANTASTIC! 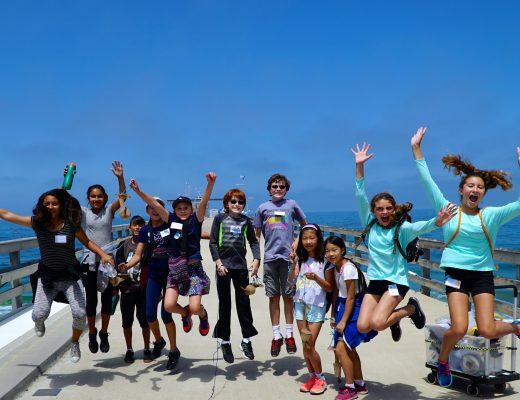 It’s so fun following along with you & you’re doing such a great job — especially filming in the surge… wheee! I can hardly wait for the next installment. You go girl!